One of my favorite pieces of spiritual advice came from Yogi Bhajan who said, “Be the forklift.” A forklift is a machine found at many warehouses and construction sites used to stack things. The forks go under the skid and then lift it up to stack it. That is what a good teacher does, they go to where the student is at, and only then can they elevate them. But if the connection is not made, to meet the student where they are at, then a teacher cannot elevate anyone. This is especially true with kids yoga. Some yoga for children ends up going over the head of the children because the teacher did not meet the children where they are at. On the other hand some kids yoga does a great job of meeting children where they are at, but they stay there playing games all the time, they never go the next step of lifting up. It is a gift to be a teacher who uses their happiness, knowledge, and power to uplift others. There is no greater honour in life than to help others feel better, to help others feel happier, and to help others recognize the power within themselves. That is why a great teacher is like a forklift. I’ve already written about the importance of using teaching moments in Yoga for children. Its not always easy to know how to incorporate them, or even what they are. That is the specialty of the Young Yoga Masters teacher training, especially the Six Week Curriculum included, which could also be called Six Forklift Classes. Here is another example of a kids yoga lesson plan with real fun and real yoga that elevates. When Yogi Bhajan said to “Be the Forklift” he was not only talking about teachers he was talking about everyone. Being the forklift, elevating others, and being of service is one of the keys to happiness. This book is very popular for grades K - 3. Try having a Forklift Yoga class theme with your kids. Use books like A Year at a Construction Site(G.K-3) , Goodnight, Goodnight, Construction Site , or any other books that have pictures of forklift type machines. Or print pictures from the internet for this yoga class. Examples are forklifts, diggers, elevators, hoists, ladders, concrete trucks that roll, and so on. Examples of yoga poses: leg lifts, arm lifts, squats, twists, knee lifts (like climbing a ladder), downward dog with leg lifts, bundle rolls or …. add your ideas in the comments. what does “Be the Forklift” mean to you? who is a forklift in your life? have you ever been a forklift for someone else? can you think of three ways to be the forklift? Every time your children are faced with the opportunity to tear someone down or lift someone up, this forklift message will help them with their choice. If there are problems in the class with kids criticizing each other, quickly redirect with three words: “be the forklift.” You will reinforce the idea, even if you have to re-tell what “be the forklift” means. Better still, invite the children to explain it. Soon you will all understand a powerful phrase that now has special meaning in your class. You will also uplift your students too. I invite you to discover more ways to be the forklift at the Young Yoga Masters Kids Yoga Teacher Training Weekend. View upcoming Teacher Training dates here. Make a difference in the life of a child. While I do think its great when a yoga teacher can uplift their student, I also think you can “only lead a horse to water”. Meaning the student must be ready to fly once you take them there. It is an equal exchange of energy. Just like a healer, the yoga teacher can only provide the space for someone to to elevate themselves. Thanks for the comment Sara. I agree that the student always has to take the final step to accept or reject the teaching – whatever the subject matter. Great post! I don’t do yoga, but I love the concept of “being the forklift”. Come to think of it, that’s what the teachers who had the biggest impact on my life did. I think its a good idea to teach our kids yoga and it is healthy for them.. This is because when they grow old, they will still get used to it and will live a healthy lifestyle.. Thanks for the comment Kazzsandra, so true. Let’s get kids started with a healthy lifestyle early. So true that kids can learn so much and as you say on your blog – we can learn so much from kids. Thanks for the comment Sarah! We met many years ago at the radiant child teacher training with Shaskta kaur Khalsa. The children love them! This year I did not get a chance to speak with you, however I did visit your booth and saw you present in the garden. Wonderful work you are doing inspiring! I tried the gremlin game with the kids today and they absolutely loved it! We had so much fun. Thank you and thank you for the advice about a forklift with the kids, I’ve been attempting to teach the children about the tree of life however not sure if I was meeting the children where they were at . I am interested in picking up the six week curriculum about the fork lift, is that a possibility? 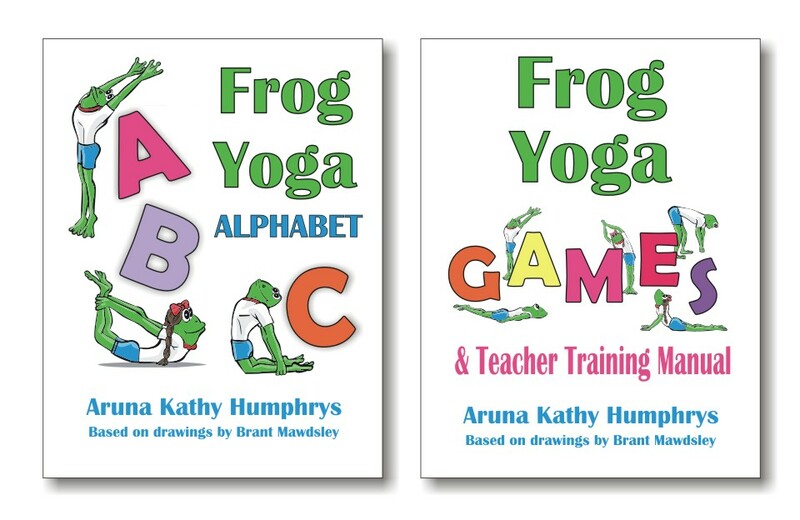 Thanks for your comment and for getting Yoga Man and the Yoga Alphabet – the kids I teach love them too. The Gremlins game has always been a huge success in my classes. That was the first time I tried playing it with so many people (I’m guessing 100 or more people at the Yoga Show class). So I was thrilled it worked so well with a big group. And the kids we brought on stage were AWESOME! At this time the only way to get the six week curriculum is by taking the weekend Kids Yoga Teacher Training I offer. There are many dates coming up (link below). I feel these classes are better experienced than read about and that’s what we do in the training – experience all of them. It is a lot of fun and very uplifting. Consider coming to one of the weekends if you can make it. I have a long term goal of one day making my training available with video, but I think it is still some time off in the future. Thanks again for your comment and let me know if you have any other questions.